David Martin is a self-taught landscape photographer who has called north central Idaho his home since 2004. Having spent most of his life in the desert southwest of eastern New Mexico, the move to the Pacific Northwest was a dramatic and inspirational change. The diverse terrain, abundant moisture and clearly defined seasons of Idaho have combined to put a perpetual smile on his face. This is borne out in his images of the area, as they reflect the many wonders of the natural landscape. David's approach to photography is rather simple to state, but difficult to put into practice: "Follow the Light". "Light" truly is the paint on the canvas of a photograph. Searching for or waiting for that perfect light on the landscape is the primary ingredient in his photography used to create the mood or express the emotion that the landscape exudes. 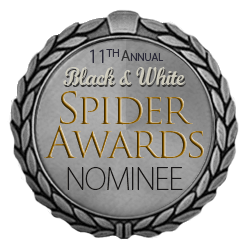 David's images have been published in "Black and White" magazine and online by numerous prestigious juried photography organizations, including "The Spider Awards" and the "Color Awards". His art has been recognized consistently in regional juried art shows where he showcases his photography of the Pacific Northwest. An amateur photographer who works at his craft full time and who is committed to creating visually compelling, emotionally stirring images of Nature with the utmost of care and best of techniques, David is continually seeking to inspire others to love and respect Nature through a deeper connection with her beauty. Thank you for taking the time to view my photographic art. It means a lot to me. My art is borne out of my love of the outdoors and my passion for beauty. My hope is that you will find a piece of Nature here that appeals to your emotions and connects you with the wonders of our natural world in a deeply spiritual way. My first introduction to photography occurred around 40 years ago when I purchased a 35mm film camera. From the outset I seemed to always want to photograph landscapes and Nature. Photography was just a hobby then. I loved it, but family and life took precedent over my hobby. It was not until I had retired from work that I was able to devote the time that I wanted to my passion, and so, beginning in 2013 I entered into the wonderful world of digital photography. It has been quite an adventure learning the techniques of digital cameras, digital photo processing and digital print making. The journey has an addictive element to it. As cameras, lenses, software and printers improve, the desire to utilize the best always beckons. I love taking an image from capture to print and seeing the natural scene reproduced before my eyes, remembering the wonder and awe that I experienced within Nature. I prefer working with color and would like to display all of my art in that medium. But there are some scenes that just look better in monochrome. The tonal range and contrast at times can be so much more expressive and dynamic in black and white. Because I love "beauty", I seek to portray the natural scene in the most beautiful way possible. That is my goal. As the viewer, you may prefer one style over the other, but I encourage you to consider each image on their own merits. "The very core of Life, The soaring high of Truth and Light..........The music of the Awe, Deep silence between the notes, Deafens me with endless Love, This vagrant island Earth, a pilgrim shining bright. We are shuddering before the beautiful, before the plentiful, We the voyagers." Enjoy your journey, your adventure through this awesome Earth of color, form and beauty, and thank you for stopping by.